Before you apply for a loan, such as an auto loan, it’s important to know your credit score. This way, if you have bad credit, good credit, or no credit, you can anticipate your eligibility for certain loan terms and rates. 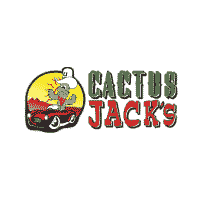 If you’re wondering how to check your credit score, Cactus Jack's Auto is here to help. Read on to learn more about monitoring your score, the three reporting agencies, and what lenders look for when they view your credit report. View Our Inventory What is a Credit Score? One of the best ways to ensure your credit report information is accurate across the board is to request reports from each agency. Be sure to dispute any incorrect information on your credit report within 30 days. Can Lenders Access My Credit Report? Yes — it’s one of the ways lenders decide whether lending to you is worth the risk. Your credit report outlines your past and current credit accounts, current and delinquent accounts, and amounts you owe. If you’ve been careful with your credit, it’ll show on your report and lenders will be more likely to approve you. Before you apply for credit, it’s a good idea to try to build up your score as much as possible. Paying off past-due amounts or applying for a car loan and making timely monthly payments, for example, can help. Learn More About Credit & Auto Financing with Cactus Jack's Auto! Do you have additional questions about how your credit score can affect your auto loan eligibility? Contact us to learn more about “in-house” financing or our buy here, pay here benefits. We can help you get the best possible rates and terms at the end of the used car buying process, so you can drive home to Mesa or Surprise in a new-to-you car!